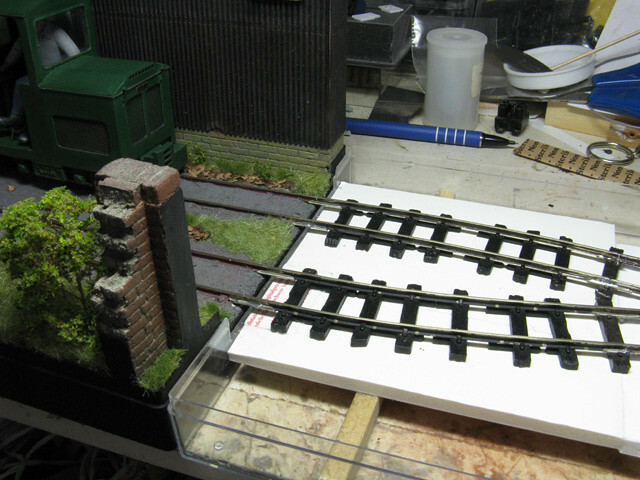 Thanks for the comments on the couplings folks, might be worth further trials when I get time. 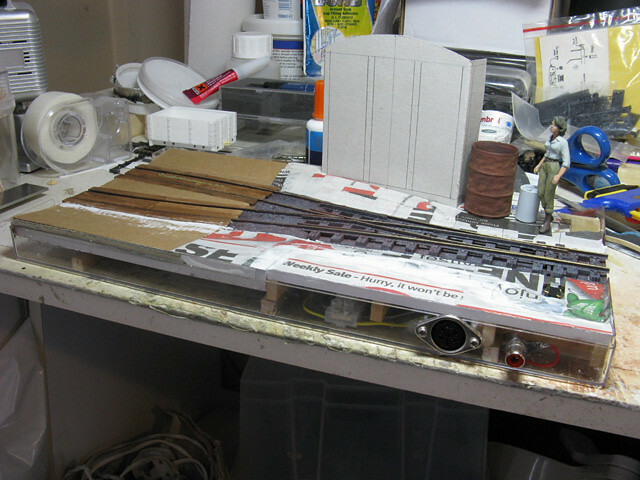 I may well consider trying to see if a dummy 'chopper' style front can be added to the Bachmann coupling. For heigh setting I have an old Triang wagon with one of these couplings that acted as coupler height gauge in my OO work. Those who know the Bachmann range will know that some stock has a dropped shank coupling sat in a NEM pocket (consequently set higher than NEM standard ). This actually fits the Lister but looks very odd! A couple of weeks ago I played around with the 'Ambassador' printy boxes Steve drew up, and ended up making different designs, colours etc to add some variety. I took the opportunity to re-do the doorway to the building and remove any question of how the crates were stacked. ...but I think they deserve a topic of their own! The way you have stacked the boxes looks really natural Colin. You end up being so distracted looking at the range of colours and angles due to the way they are stacked, that you don't even notice that the shed has no depth to it. Colin Peake wrote: A couple of weeks ago I played around with the 'Ambassador' printy boxes Steve drew up, and ended up making different designs, colours etc to add some variety. Damn, think I need to add some variation to mine now, they look really good in different colours. Great idea Colin. Thanks for the comments about the boxes, more will be required in due course to load all the wagons scuttling about the works. Wagons? More than one?! Yup!! 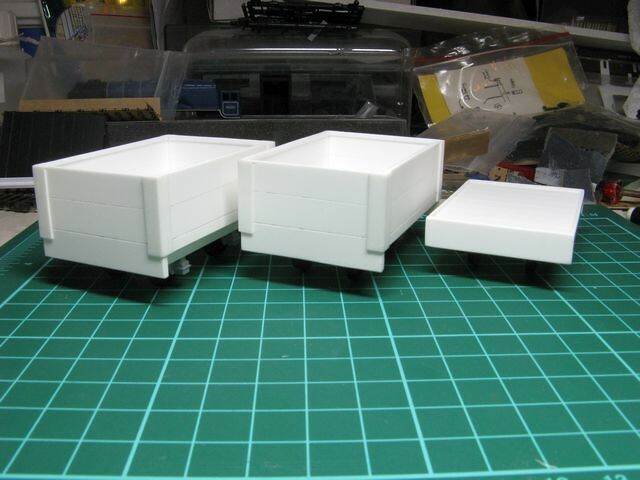 Impressed with how the flat wagon turned out I have started work on another three wagons to the same basic design. 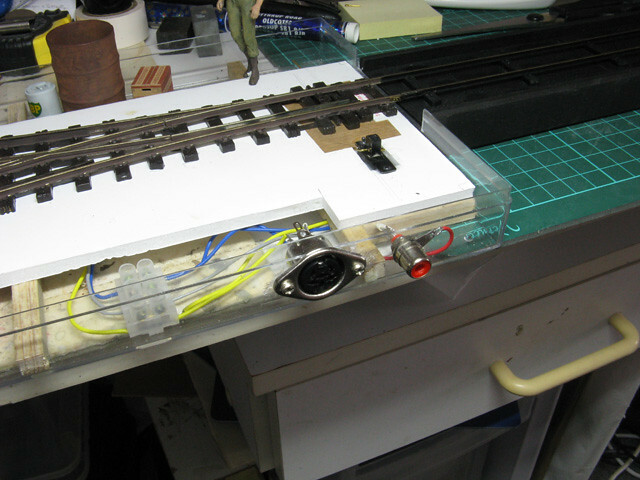 As with the first (which has had a gestation period of years) they are based on underframe parts (well, solebars and 'W' irons) from OO gauge kit wagons. 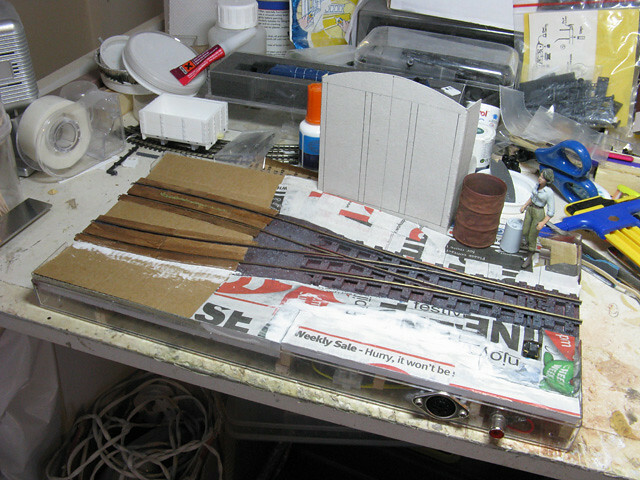 Two two-plank versions with Airfix mineral wagon kit underpinnings, and one flat with Parkside parts hidden away underneath. One of the two-plankers. 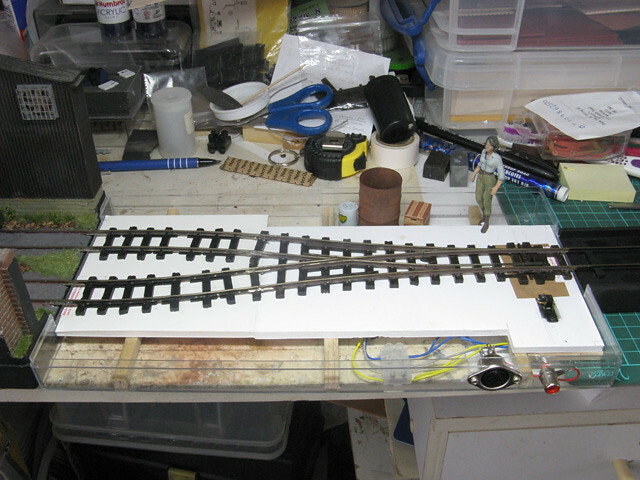 Lots of detail still to add, including wood grain, more strapping, bolt heads etc. Side view for the size curious. 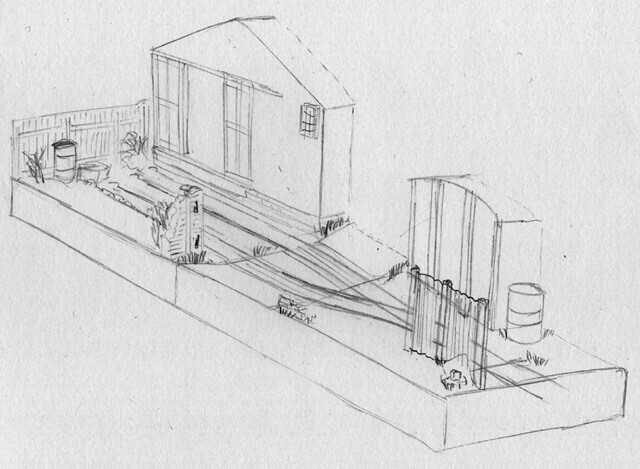 This one actually incorporates underframe parts used for a second wagon when the first was started all those years ago. Not sure why that one got scrapped! Just a quick post to say I've really enjoyed reading through this thread Colin - spent a very enjoyable cup of coffee and a half hour or so simply immersing myself into your Thoughts, trials, and tribulations. Great to follow along as you've pondered and considered - changed your mind and ruminated why? Thanks for that Andi, I must say that reading your threads is proving equally absorbing! The old cassette now forms the headshunt, and it is an inch too short to hold the Lister and three wagons behind the point! 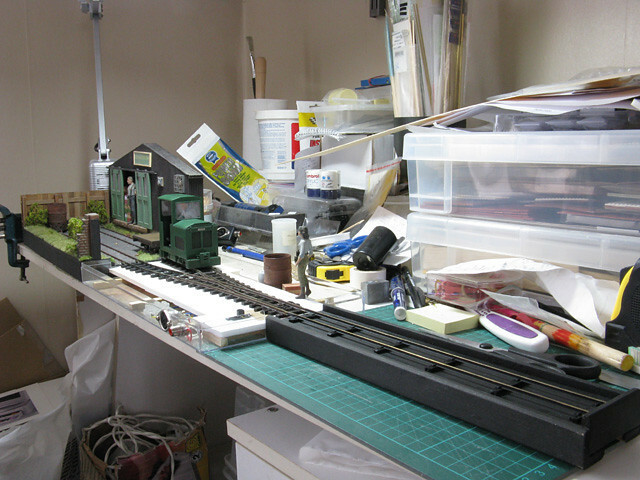 More photos of the layout, or more workbench clutter? Modular micro's is a very interesting concept to explore further. I like the new board Do you plan to do more scenic sections in the future to connect to this set up? I must say I really like how the layout has developed. Love the idea for the extension, really seems to all fit together nicely. Think I've got one of these Ferrero Rocher boxes floating around somewhere in my train room, I see an idea forming! This is going to look brilliant when it's all put together and scenery added, the first 'board' looks brilliant and the sketch for the second shows it will only add to the looks. I've never seen before what you meant about the Lister being big for the layout Colin but actually seeing the zoomed out view I do see. Very much look forward to seeing more! I like the sketch Colin. The standard gauge van will make a great talking point. With regards to the ex-cassette, how about mounting it in a Ferrero Rocher lid and adding rough, dirty coloured varnish and hey presto a bridge surrounded by flood water. I really like the look of the second half and the ideas for it, looking forward to developments. Jon Randall wrote: I like the sketch Colin. The standard gauge van will make a great talking point. Thanks Jon (and all who have commented on the sketch! ), I do like that bridge idea, may have to think along those lines as a possibility... we shall see, need to get this phase built first! PS, good luck with the move Andy! A little update on progress! 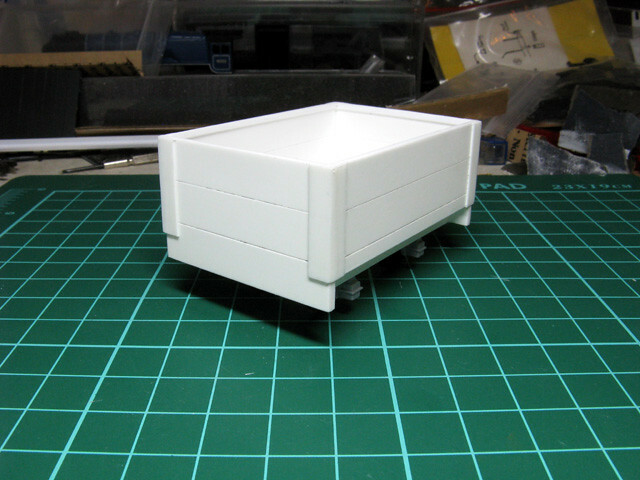 I have mocked up the grounded van body based on dimensions of a 4mm scale model, hopefully this will sit OK size wise with the existing builing - haven't had the two sections back together yet! 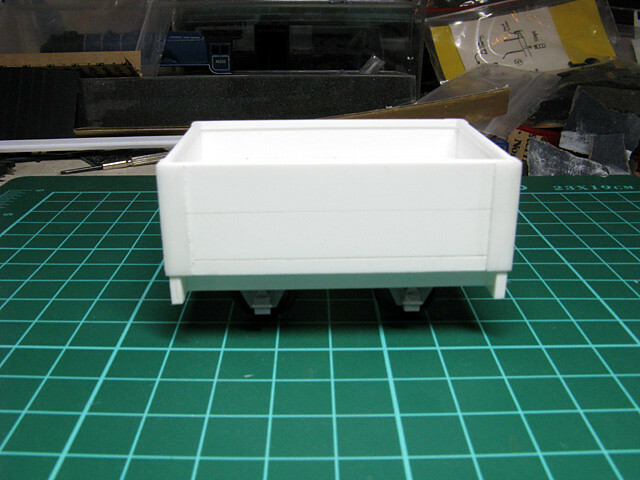 I've seen the size of Gauge 3 Box vans, they are BIG!